Within hours of the ousting of Sudan’s former president in a military coup, Reuters reported, on the 12th April, that “The United Nations human rights office called on Sudan on Friday to cooperate with the International Criminal Court (ICC), which issued an arrest warrant for deposed President Omar al-Bashir for alleged war crimes nearly 15 years ago”. The coup, which saw Sudan’s military regime depose the former president on Thursday morning, quickly became seen as merely a change of face for the regime. As for the quick call for the International Criminal Court to swing into action, this represents abject hypocrisy. Bashir faces five counts of crimes against humanity and two counts of war crimes in connection with military actions in Darfur between 2003 and 2008, and now Sudan is being called upon to submit Bashir to an outside court to try him for crimes in Darfur, which itself was the subject of outside agitation seeking to dismember Sudan. 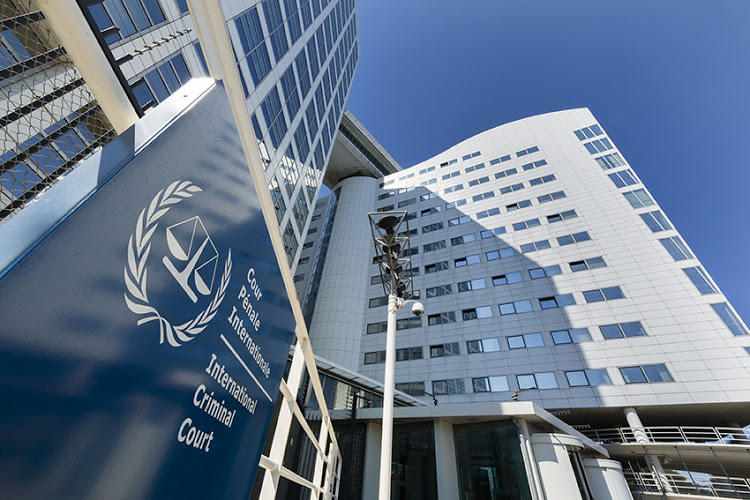 The International Criminal Court in The Hague has often times been used by neocolonial powers as a tool for their own ends, which exposes the fallacy of the concept of an international law when sovereignty resides with states and they alone wield the military and economic power with which to coerce others. Clearly only the strong can impose their will upon the weak, and any international body can only be a tool in the hands of the strong, while such a body is impotent when the weak seek its protection against the strong. This is exactly what we see today. Sudan has within hours been called upon to send Bashir to The Hague, while on the very same day, the International Criminal Court in The Hague has shown itself powerless to bring justice to the victims of America’s war on terror in Afghanistan! Trump applauded a decision by the International Criminal Court (ICC) in The Hague today, 12th of April, rejecting a request by the court’s chief prosecutor to investigate alleged war crimes and crimes against humanity committed in Afghanistan. The chief prosecutor said in November 2017, that it had “determined that there is a reasonable basis to believe” that the US had committed war crimes. Nevertheless, when the US is at fault it takes years before a negative decision is reached, but when an ousted dictator is at fault it only takes a few hours for the wheels of justice to turn. If 2006 was too long ago for the US, why was Darfur not too long ago? Here is the statement from U.N. Human Rights spokeswoman Ravina Shamdasani calling for bringing Bashir to account: “We do encourage the authorities in Sudan to fully cooperate with the ICC, there is a Security Council resolution as far back as 2005 calling on the government of Sudan to fully cooperate with and provide assistance.” Strangely, then, international law can reach back to 2005, but will not be able to count back to 2006 if the US says no. Amnesty International called the decision to not pursue war crimes investigations against the US and its allies “a shocking abandonment of the victims” that “ultimately will be seen as a craven capitulation to Washington’s bullying and threats.” Yes, indeed it is!